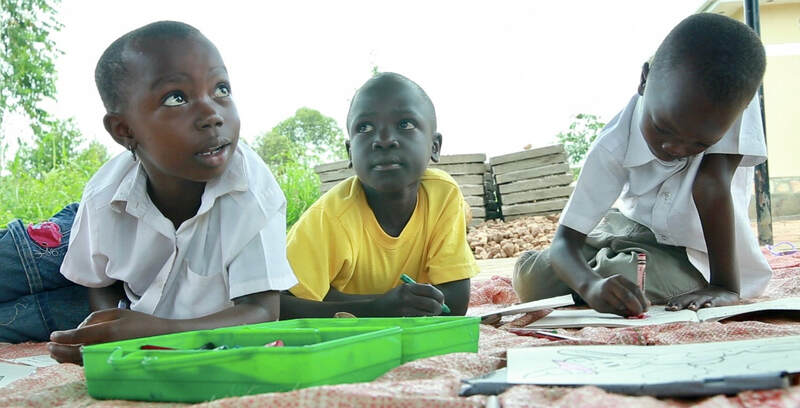 ​In Uganda education is not free. AIDS orphans are cared for by family members. Aunties and siblings with their own very large families become responsible the care of the orphans. Elderly grandmothers, who are subsistence farmers with no income, do not have the financial means to educate the many grandchildren in their care. Providing educational support enables these children to remain in the care of family and have a future. We are committed to educating students from nursery school through university or vocational training. 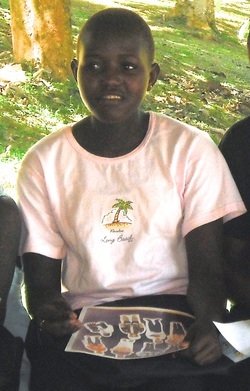 Our sponsorship program can carry a student through 20 years of education. We help fund tuition, uniforms, hygiene products, school supplies and medical and dental care and extra medical care for HIV positive students. Lynn and Charles review academic performance and behavior reports, work closely with students to provide them with any special enrichment they may need, collaborate with the families to help guide the student's performance and behavior and engage with the larger community to establish a strong partnership and a successful educational experience. Our students embrace our core values of taking personal responsibility for their future, with the understanding that their success will strength their community and country. “It takes a village to raise a child!”. Nabacwa Brendah: Connect Africa began changing my life in 2007. When I first met Uncle Charles I was living with my auntie because my mother had died of AIDS and my father was positive. The school I was attending was of poor quality as my auntie couldn't afford a good school. I was HIV positive, though I didn't know it then. I began attending a new school and had to repeat a grade because my examination results were poor. But CAF and the head master saw potential in me. I was determined to work hard to not disappoint them. I was among the first group of CAF students and at the time the only girl. Over the past nine years I have spent many weekends at Lynni’s house and become close friends with other students. When new students and younger children join CAF it is us older students that help look after them and ensure that they learn what is expected. P7 was a very difficult year in my life. I learned I was HIV positive. I didn't want to study, feeling it was no use. I went to my bed, refusing to eat or study; I was waiting to die. The Head Master, Uncle Charles and Auntie Lynni comforted me and convinced me not to give up, that being HIV positive was not a death sentence, that it could be treated, that they loved and would help me. I got out of bed, though the whole year was difficult. Today I am very healthy and continue to learn how to live being HIV positive. Now that I am older and interested in boys I am learning how to tell people. I will finish my nursery school training in September 2016. I love it! It is the exact profession for me. My dream has come true. My sponsor all these years has been a teacher and that has always been an inspiration to me.